Lebron- 30 PTS, 9 REB, 11 AST. Thompson- 16 REB. Schroder- 13 PTS. Scott- 7 REB. Teague- 6 AST. 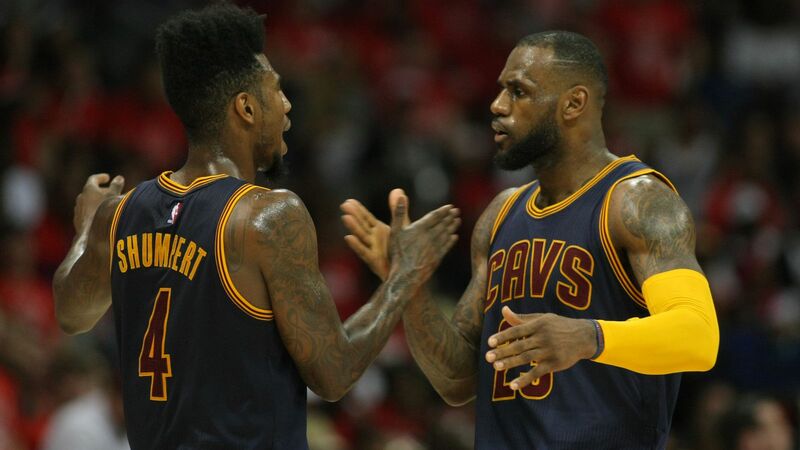 LeBron James powered the Cleveland Cavaliers into further hope of reaching the NBA Finals as they decimated the Atlanta Hawks in Game 2. The Hawks could've been without their starter and big time defensive player Carroll, but him on or off the court didn't seem like the game would change at all. He did end up playing, but nothing changed. Lebron was playing lights out in the first as he scored 13 of his 30 in that period and his team was up five after one. Delladova would star todaysince Kyrie was out, but the Cavs didn't need Irving and James Jones stepped up big time when he hit three three pointers in the second but the Hawks weren't going down so easily. A 16-0 run by the Cavs basically put the game away, Lebron scored 16 in this big quarter which I think out the series away as well. Bron James powered the Cleveland Cavaliers into further hope of reaching the NBA Finals as they decimated the Atlanta Hawks in Game 2.